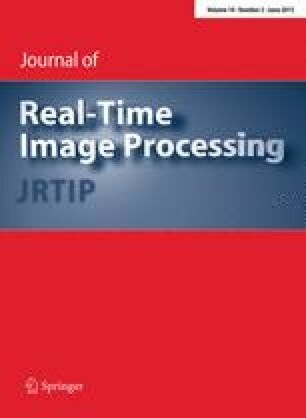 This work presents a novel color correction algorithm between images (or image regions) depicting the same environment. Color transfer is achieved by a linear full 3 × 3 mapping between the color responses. In particular, this linear map equalizes the colors of images of the same scene acquired under different illuminants and/or by different devices. Since the complexity of the proposed method is directly proportional to the number of picture pixels, color correction is performed in linear time within the pictures size. The author would like to express her gratitude to the following colleagues working at Fondazione Bruno Kessler, Trento, Italy: Carla Maria Modena, researcher in the group of Technologies for Vision, for the fruitful discussions about the theoretical part of this work; Dimitri Giordani, technician of the group of Technologies of Vision, for the acquisition of the images of database MBCam5; Alessandro Rizzi, technologist in the group of 3D Optical Metrology, and Stefano Girardi, technician at MtLab (Microfabrication and Testing Lab), for their help with the Macbeth Color Checker.